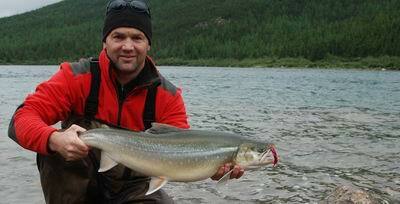 The Tunulic is one of Nunavik’s rivers with perfect fly water and a reputation for producing a mix of Brook Trout, Lake Trout and Landlocked Arctic Char. 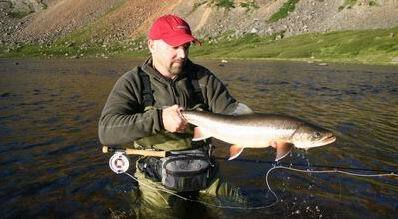 Fishing is on numerous beats interconnecting a series of lakes which form the Tunulic / Qurlutuq River. The 45 km stretch of rivers, lakes and rapids offer a nice variety of water and lots of space. Situated to the south-west of Rapid Lake, the Tunulic West Arms is a charming little river and offers 8 km of prolific Brook Trout water joining the main river at Twin-River Lake. 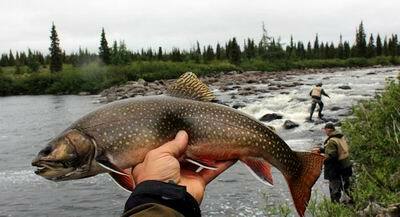 It is a sensitive and demanding small river but rewarding with brook trout of 3 lb and up. The Baudoncourt River only allows fly fishing. 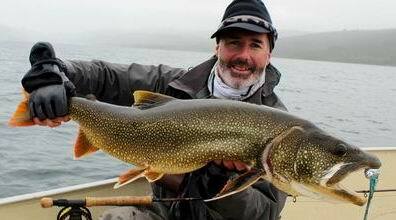 It is one of Quebec’s famous east Ungava Bay river with perfect water for fly fishing the migratory Arctic Char. The river flows through a narrow valley surrounded by sheer granite walls. Baudoncourt fishes 4 rods, at the estuary large granitic pools. The swift current challenge even the most experienced angler. 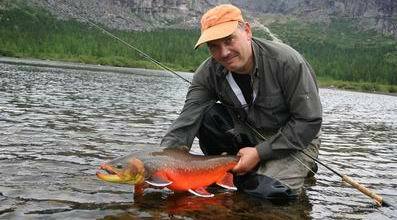 The average arctic char run about 10 pound. 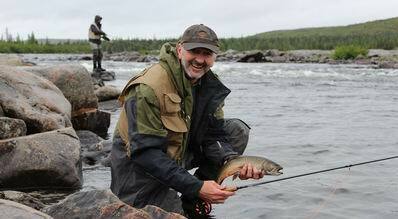 The middle part of the Baudoncourt fishes 3 rods in perfect fly fishing water for holdover Arctic Char in early July. At the end of August the Baudoncourt middle part it has a good stock of big red char averaging 11 pound. Each season a number of 13 to 15 pound char are taken. Voluntary catch and released is widely practiced. 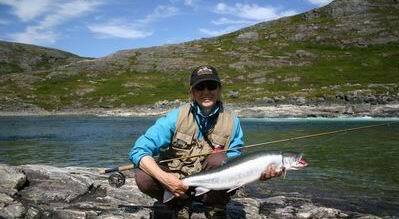 The Sapukkait is an excellent river to fish for the migratory and holdover arctic char. All through the season the Sapukkait has an active arctic char population. 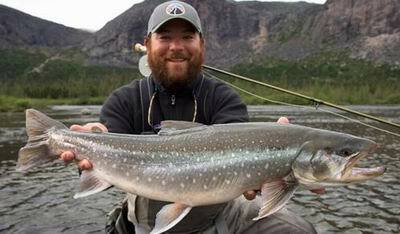 The fishing season start right after the ice break up; around June 20, and continues until the end of the season on September 7. Fishing is on five beats over a 6 km stretch of river offering a nice variety of water and lots of space. The Qijujjuujaq also called the Slot River, is a deep and narrow channel carve into the bedrock and is with no doubt the Ungava’s Bay most productive river for giant Arctic Char. This small but powerful river is where you’ll find the highest male ratio. The most productive fishing is done on two beats along the narrow estuary inlet that is over 3 km long. The Koroc is part of the Kuururjuaq park. A demand of access to the park and a specific fishing licence are required for admission. Koroc pours in the Ungava Bay and is an impressive river with big rapids and with very large pools. This is a great river to fish in combination with other rivers on the same trip.